I am trying to start a new session using Appium Desktop. I am getting this error when starting the session. Can you see your java version if you type java -version on the command line? Hi, I have managed to fix this and java -version now returns my version java. I have a different problem now when trying to start a new session. 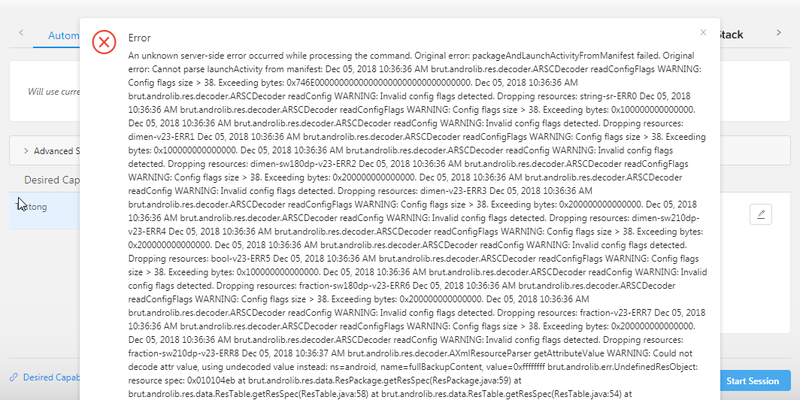 Can you try adding the appPackage and appActivity capabilities as well and see if you get the same error? Use this link if you’re not sure on how to get your app package and app activity. 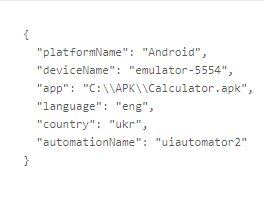 Use either the command line method or the APK Info app method. Thanks very much! I managed to start a new session.